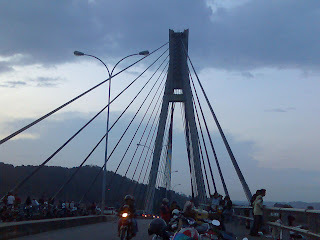 Batam city was one of the city in Riau Islands province. Batam is an island strategically located because it is located in the international shipping lane. The city is also so close to the State of Singapore and Malaysia. 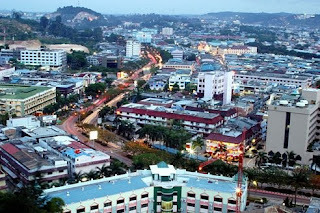 Batam is one of the fastest growing cities in Indonesia. When it was built in the early 1970s the city was only occupied about 6,000 residents, but now has a population of 713,960 inhabitants. The town is part of Riau Islands Province has a land area covering 715 km ² or about 115% of the territory of Singapore, while the total area reached 1.570.35 km ². Tropical Batam with an average temperature of 26 to 34 bderajat Celsius. The city has a hilly terrain and berlembah. The land of red soil is less fertile. 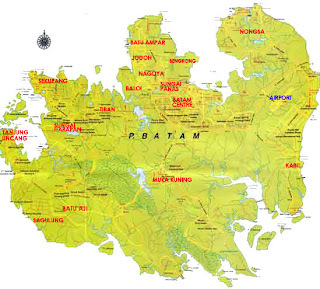 Batam City community is a heterogeneous society composed of various tribes and groups. Some of the dominant tribes are the Malays, Minangkabau, Batak, Makassar, Java, Flores, Tionghoa and others. With the cultural guidelines and uphold melayu Bhinneka Tunggal Ika, Kota Batam be conducive to mobilizing economic activity, social, and cultural politics in society. Until the year 2006, Batam has a population of more than 700,000 lives and has a population growth rate was stable. In the period 2001 through 2005 have a population growth rate averaged 6 percent per year. 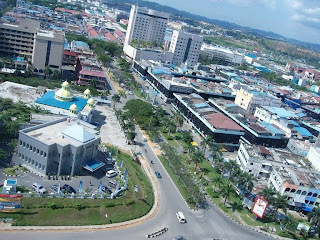 Islam is the religion of the majority in the city of Batam. Raya Batam mosque located in the middle of town, adjacent to the square, the mayor's office and the office of the Parliament became the symbol of religious Batam. Christian and Catholic religion is also shared by many Batam community, mainly originating from the Batak ethnic and Flores. Buddhism embraced by most Middle Kingdom. Batam has a monastery is supposedly the largest in Southeast Asia, the Vihara Duta Maitreya. 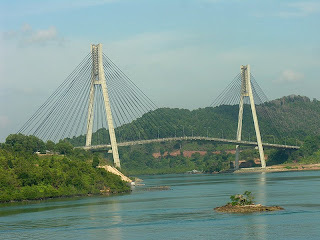 Batam city's economic growth is higher than the national economic growth rate makes this region hyper mainstay for economic growth nationally and for the Province of Riau Islands. Various sectors of the economic drivers include communications sector, electricity sector, water and gas, banking sector, industrial sector and over the ship, trade and services sector is the economic pulse batam city that not only is the public consumption Batam and Indonesia, but also a commodity exports to other countries . The existence of economic activities in the city is also in order to increase employment and welfare of the community. Municipality of Batam as the Batam city development officials together the House of Representatives and the City of Batam Batam Authority Board's participation in the continued development, is committed in promoting investment and economic growth in Batam, this is evidenced by the memorandum of understanding these three agencies, which then City development is expected to create a sustainable Batam. Batam, along with Bintan and Karimun now status as Special Economic Zones (KEK). With this expected to increase the investment in Batam that ultimately aimed to improve the welfare of society. In realizing the democratization of governance and sustainability in the city of Batam, in January 2006, held elections deputy mayor and mayor of Batam. Through the process of an orderly and safe, then the elected and the establishment of Drs. H. Ahmad Dahlan and Ir. Ria Saptarika as Mayor and Deputy Mayor of Batam period 2006-2011. City of Batam has many public and private schools ranging from elementary to high school level. State Universities in Batam is a Maritime University Raja Ali Haji (Umrah). In addition there are many private colleges such as Batam International University (UIB), University of Batam (Uniba), STIE Ibn Sina, STT Bentara Persada, University of Riau Islands (Unrika) etc..
Batam City as a tourist town, serving various forms of tourism facilities and coastal marine tourism, arts and cultural attractions, shopping, tourism and economic conferences, and humanitarian travel. Supported by the availability of hotel and resort facilities with an international-class standards and the various events organized in the Calendar of Batam City Tourism Activities that are expected to ensure the comfort and satisfaction of domestic and foreign tourists visited the city in Batam. * Various international standard resort facilities include a hotel, golf, etc..